Biting The Hand That Feeds You: Dinosaurs Before Dark! Z had just read the Magic Treehouse book "Dinosaurs Before Dark" where they meet dinosaurs and fly on a pterodactyl. Or pteranodon. Whatever. I don't know dinosaurs very well. And I got these Organicasaurus puff treats in one of our monthly foodie boxes - so it was the perfect time to make some dino-riffic lunches! For Z I used my pterodactyl cutter (pteranodon?) on her sandwich, and gave it an Enjoy Life mini chocolate chip eye. 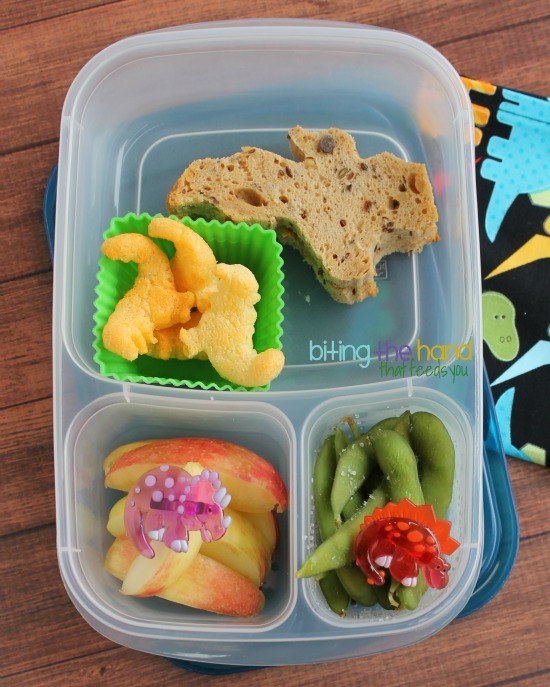 I dino'd up her apples and edamame with some cute dinosaur cupcake rings, and turned her puffs different ways to make a brontosaurus fighting a T-Rex. For E I used a mini brontosaurus cutter (apatosaurus. Whatever) for a more recognizable dinosaur profile. 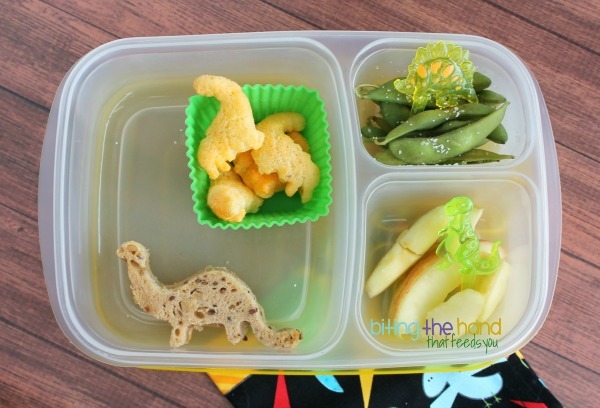 And I turned her T-Rex-shaped puff snacks sideways to look like brontosauri. Brontosauruses? She got some dinosaur cupcake picks in her side compartments. 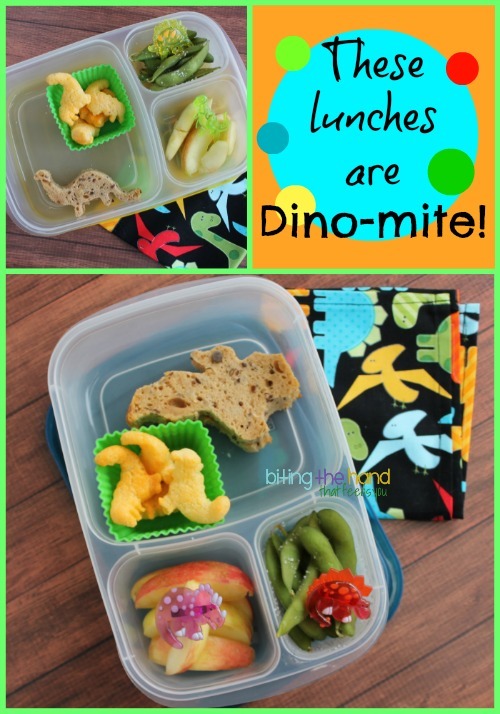 Cute dino lunches, I love them! OMG.. so cute. We are preparing for kiddo's dino themed birthday and can't find cutters locally.